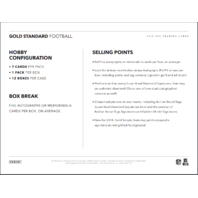 - Pull five autographs or memorabilia cards per box, on average! 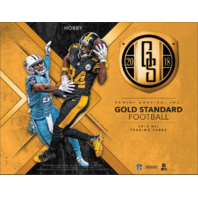 - Look for at least one Rookie Jersey Autograph, #’d/99 or less per box, including prime and tag versions signed in gold and white ink! 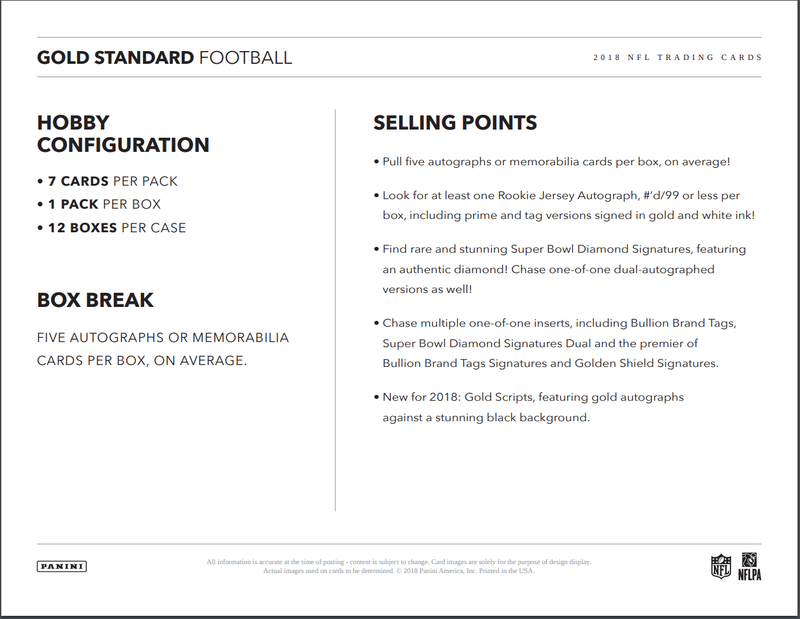 - Find rare and stunning Super Bowl Diamond Signatures, featuring an authentic diamond! Chase one-of-one dual-autographed versions as well! 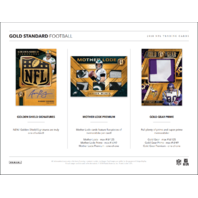 - Chase multiple one-of-one inserts, including Bullion Brand Tags, Super Bowl Diamond Signatures Dual and the premier of Bullion Brand Tags Signatures and Golden Shield Signatures. - New for 2018: Gold Scripts, featuring gold autographs against a stunning black background. 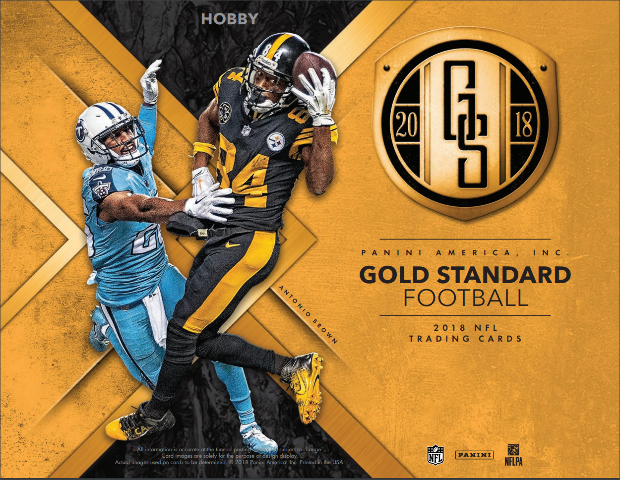 Rookies includes 60 of the 2018 non-RPS rookies. Look for at least one Rookie Jersey Autograph, #’d/99 or less per box, including patch and tag versions! 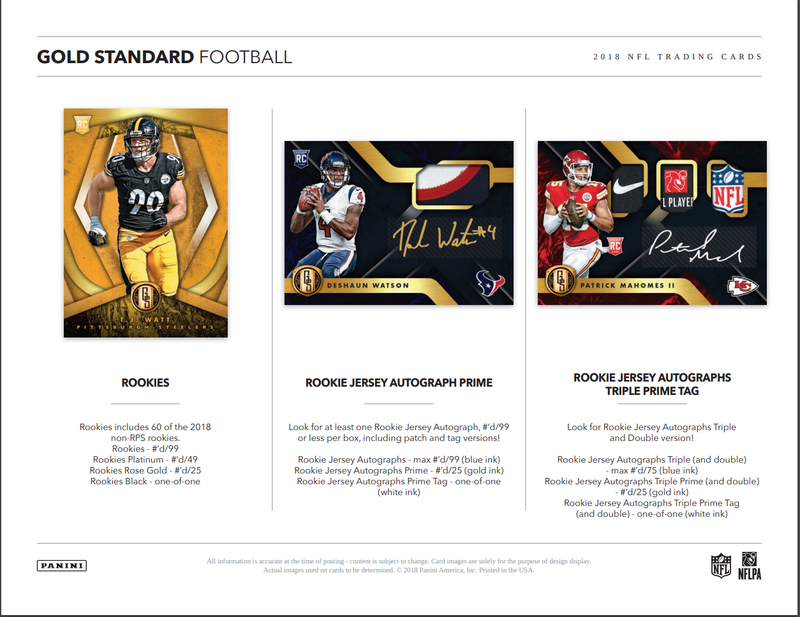 Look for Rookie Jersey Autographs Triple and Double version! Collectors will strike gold with Gold Strike! 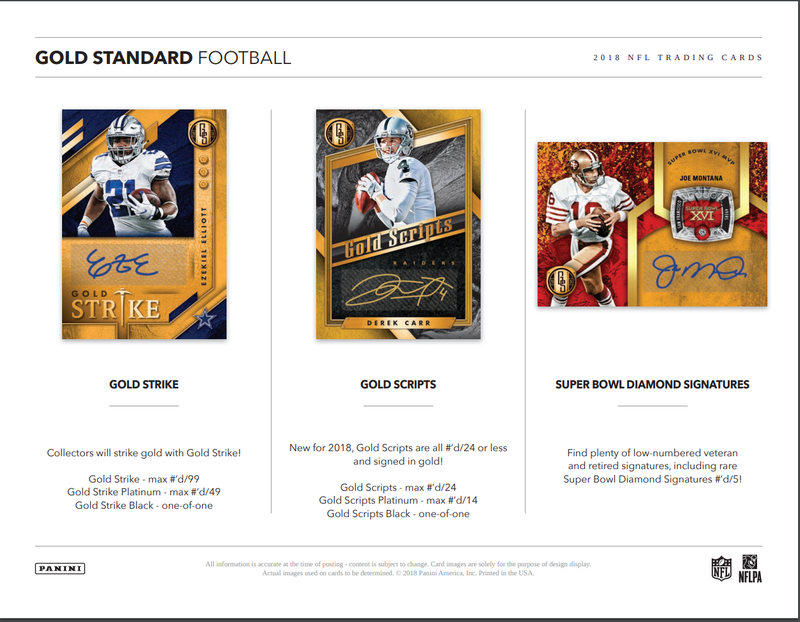 New for 2018, Gold Scripts are all #’d/24 or less and signed in gold! 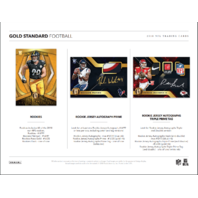 Find plenty of low-numbered veteran and retired signatures, including rare Super Bowl Diamond Signatures #’d/5! NEW! Golden Shield Signatures are truly one-of-a-kind! 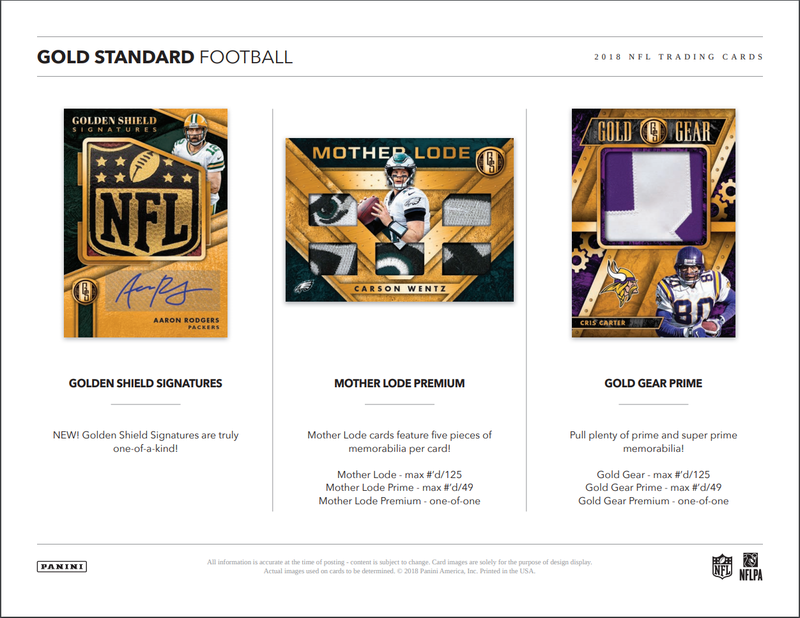 Mother Lode cards feature fi ve pieces of memorabilia per card! 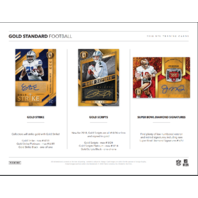 Pull plenty of prime and super prime memorabilia!